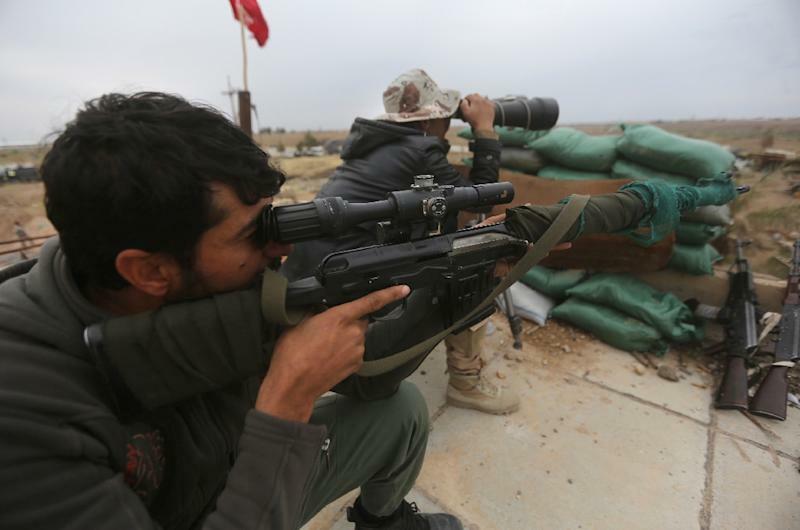 Tikrit (Iraq) (AFP) - Iraq said security and allied forces backed by US-led coalition aircraft "liberated" the city of Tikrit on Tuesday, its biggest victory yet in the fight against Islamic State jihadists. The operation to retake the hometown of former president Saddam Hussein began on March 2 and had looked bogged down before Iraqi forces made rapid advances in the past 48 hours. Prime Minister Haider al-Abadi "announces the liberation of Tikrit and congratulates Iraqi security forces and popular volunteers on the historic milestone," his official Twitter account said. He was referring to paramilitary groups which played a major role in the fighting to retake Tikrit, a Sunni Arab city which IS had controlled since it captured swathes of Iraq in June. A spokesperson for the US-led coalition told AFP however that "parts of the city remain under (IS's) control and there is still work to be done." In a statement to AFP just minutes before Abadi's tweet, his spokesman Rafid Jaboori said: "Iraqi forces reached the centre of Tikrit, raised the Iraqi flag and are now clearing the city." The provincial government headquarters was retaken on Monday and on Tuesday the Iraqi tricolour replaced the black IS flag on the building. In scenes captured in an AFP video, jubilant fighters can be seen tearing up the black flag amid the extensive destruction in the city. "We are in the centre of Tikrit. The city and all administrative buildings were completely liberated," said one of them, policeman Bahaa Abdullah Nasif. Iraqi military officials have been saying since the start of the operation that IS fighters had laid thousands of bombs in streets, houses and tunnels to make their last stand. The government has not provided any casualty figures since the operation started. There was a lull in fighting when government forces and their allies apparently balked at the number of snipers, booby traps, berms and trenches which IS was using to defend its city centre redoubt. Iran was Baghdad's top foreign partner in the early stages of the operation but Iraqi air strikes were proving insufficient to break the back of IS resistance. 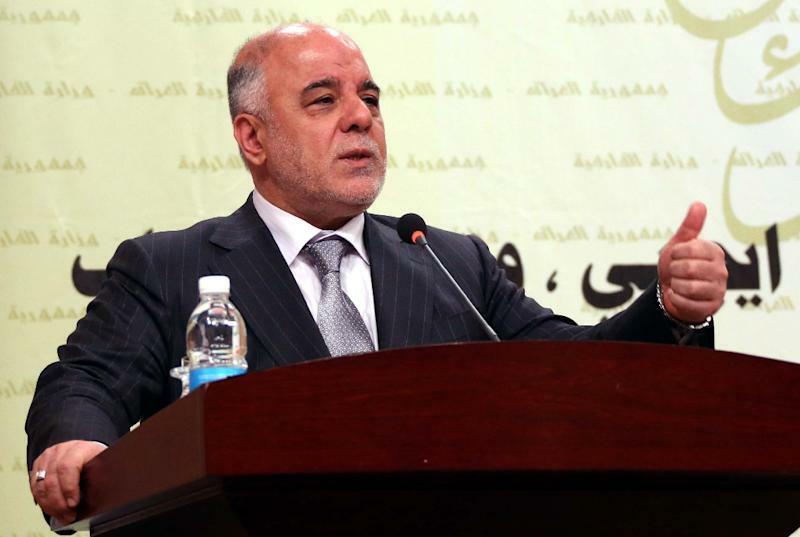 Abadi's government eventually requested strikes from the US-led coalition which has been assisting Iraqi forces elsewhere in the country since August last year. 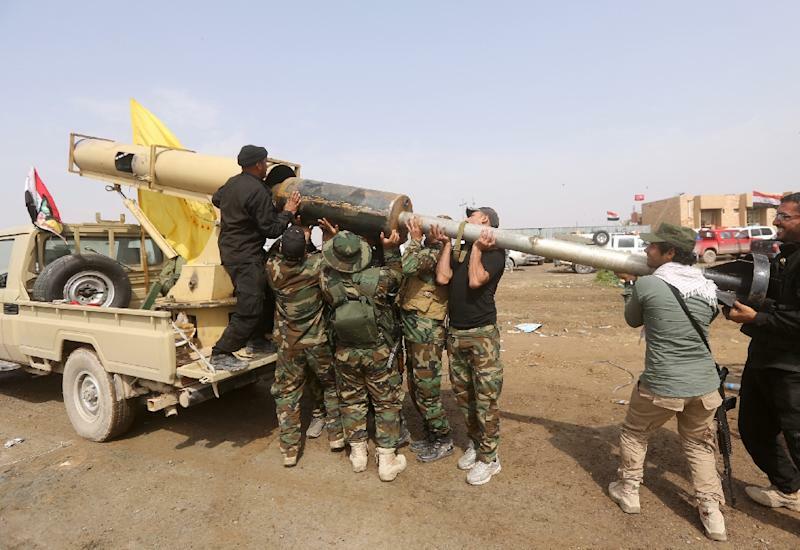 US jets began bombing IS targets in Tikrit on March 25. France also took part in the campaign. The move sparked a freeze in the participation of the Popular Mobilisation units, an umbrella organisation for volunteers and militias which accounted for the bulk of the forces in Tikrit. The Pentagon had expressed unease at the role played by Iran and its proxies and said it conditioned its intervention on regular forces taking the lead. On Friday, it hailed the withdrawal from the fight of "those Shiite militias who are linked to, infiltrated by, (or) otherwise under the influence of Iran". But after giving themselves political cover by declaring they do not want to work with each other, both sides took part in the operation this week. Tikrit, once with an estimated population of about 200,000, had been largely emptied of civilians by the time the operation was launched. The fate of those believed to have remained in the city was unclear, however. Thousands of people displaced last year or more recently from Salaheddin province, of which Tikrit is the capital, have started returning to their homes in outlying liberated areas. But the level of destruction and the threat posed by unexploded bombs mean residents could take longer to return. It was the hometown of executed dictator Saddam Hussein, remnants of whose Baath party collaborated with IS last summer. Iraqi forces had since June tried and repeatedly failed to retake the city, seen as a key stepping stone to recapturing Mosul, the jihadists' largest hub in Iraq. Defence Minister Khaled al-Obeidi met all his top commanders Tuesday to discuss preparations for an operation to retake the Nineveh province, of which Mosul is the capital. "This victory is only a new starting point from which to launch the operation to liberate Nineveh province," his ministry said. Mosul, Iraq's second city, is close to 10 times the size of Tikrit and still holds a large civilian population.